Can Your Infrastructure Handle Emerging Bandwidth-Taxing Technologies? Atlantech Online has been a business-serving Internet Service Provider since 1995. We have seen many new technologies come and go and have witnessed firsthand productivity boosting apps that have disrupted the way business is conducted. What has remained consistent is the increasing and insatiable need for bandwidth. None of us can predict the next Slack or Blue Jeans Network, but we know the next big thing is already on the horizon. However, there is no doubt more network bandwidth will be required as breakthrough technology is launched. Since the demand for faster upload speeds and the increased reliance on mobile devices is already putting the squeeze on bandwidth, it begs the question, "Is your communications infrastructure able to handle emerging bandwidth-taxing technologies?" How much bandwidth will your business require next year? Or 3 years from now? Monitoring use and estimating future bandwidth needs is an ongoing task of your IT Team. Factors such as growth in total users, increasing file sizes and peak usage times are all part of the standard estimations. However, the following handful of emerging technologies exponentially increase bandwidth needs. It is these new technologies that make estimating future use a challenge. Developing an app in a standard environment does not place undue taxation on the network. However, the Internet of Things requires mobility and app roll-out on a global scale, gobbling up bandwidth as they go. Blue Jeans Network, an enterprise video conferencing tool, is proving to competitors and clients that they've taken peer to peer communications to the next level. Streaming media apps like Spotify and Netflix are known to consume up to 70% of Internet bandwidth. The popularity of these platforms is only expected to rise. Slack is just one of a small number of platforms that has changed the way collaboration occurs and is a sign of more to come. What new advances in online collaboration will require additional bandwidth? Augmented reality is still being figured out, but it's a sure bet that in just a matter of time, the bandwidth requirements of augmented reality will be pressing on your infrastructure. Pokemon Go, anyone? Honeywell's smart buildings could be the wave of the future. This new use of technology allows the management and control of huge warehouses and business facilities on the cloud, along with data archiving and security measures. Via intuitive platforms that operate in the cloud, businesses can manage operations with fewer resources. One caveat? They require some serious bandwidth to function successfully. We've all heard the stories. The next disruptive platform is probably already being coded by some kid in her bedroom. In fact, the speed of change is the greatest predictor we have. And that is telling us that scalability is critical. Are your operations on the cloud? If not, you're facing a grave challenge. Keeping your business competitive means taking a close look at the benefits of a move to the cloud. It's cost savings, combined with improved functionality, will allow your business to take advantage of the ground-breaking technologies changing the world of business operations. Choose a vendor that offers a comprehensive suite of products and service. While you may not be ready to move to unified communications today, the ability to scale, along with access to advanced features, shouldn’t be overlooked. Poke around and dig into their long-term commitment to clients. Ask for a list of referrals and check them out. It’s not a fluke that the best of the best have long track records of success. Look for a unified communications vendor who offers the highest quality connections such as access to major cloud providers like AWS and compliant data centers. Plus, they should fully understand the needs of your business. A “Bring Your Own Bandwidth” or BYOB connection isn’t going to make the grade in the event of a bandwidth squeeze. Companies relying on a connection that is shared, or transferring data across a public connection, will face serious bandwidth issues as technology evolves. Are you developing apps on the web and need direct and fast access to your database in the sky? Firms like Atlantech now offer Cloud Connect, which enables customers to connect directly to all the major cloud providers via end-to-end fiber networking with bandwidth options ranging from 100 Mbps to 10 Gbps. Do an assessment or ask a reliable provider to assess your needs. 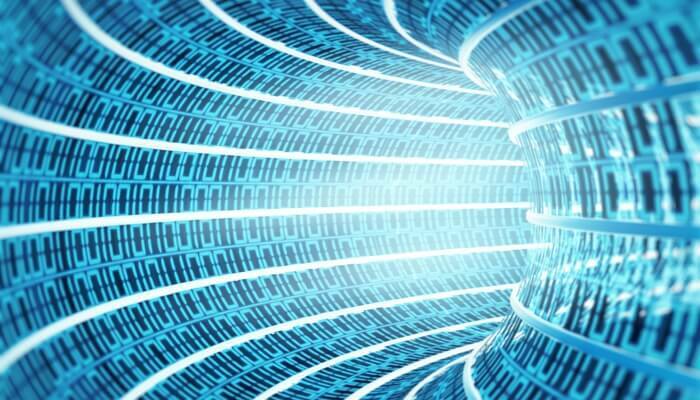 Estimating future bandwidth needs is tough but there is a solution. By entering into a long-term partnership with a qualified vendor, you can set up a network capable of handling future growth and change. Looking to the future, today? If your Washington D.C. area business is already experiencing bandwidth crunch, Atlantech can help. Or if you beginning to doubt your network's ability to handle future needs, give Atlantech a call. 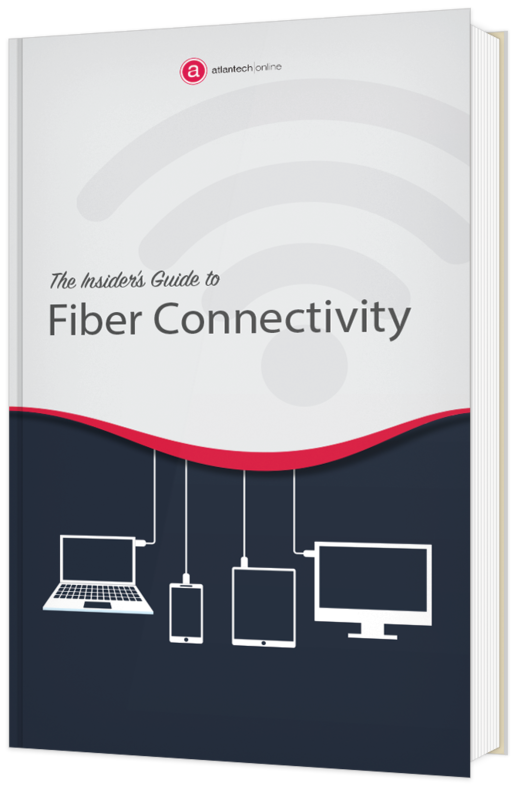 A quick assessment can help determine if connectivity could become an extra headache. We can help provide scalable, reliable bandwidth to keep your business operating at top speed as future technologies appear on the horizon.